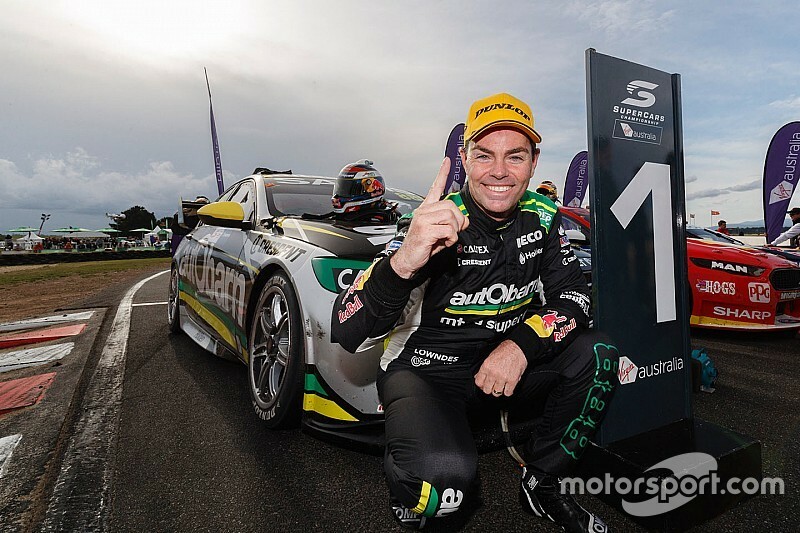 Craig Lowndes has confirmed he'll retire as a full-time Supercars driver at the end of the 2018 season. 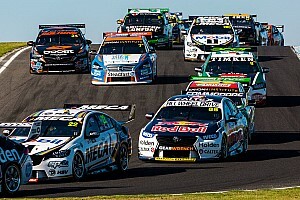 The veteran superstar will call time on a career that spans more than two decades and yielded three Australian Touring Car Championship titles, six Bathurst 1000 crowns, and 106 ATCC/Supercars race wins. Lowndes, who is contracted to Triple Eight until the end of the 2019 season, will carry on with the team as an endurance driver. 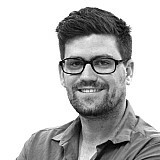 He will also be part of the Supercars TV broadcast team. “I’ve always said there are two key factors keeping me racing and those are my motivation to keep getting up and doing what I love and my competitiveness, and for me, nothing has changed," said Lowndes. 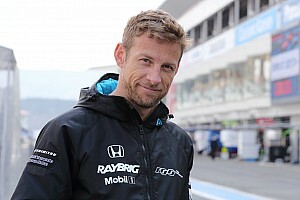 "But at the same time I want to make sure I finish my last full-time season with some strong results in the bag and after this year’s results so far [Triple Eight boss] Roland [Dane] and I came to the decision between us that this will be my last full season behind the wheel. "I’ll be staying with Triple Eight and I’m looking forward to an exciting new chapter as an ambassador for the team and of course co‑driving with Triple Eight in the enduros. I’m also pleased to announce that I’ll be joining the broadcast team, which is something I’m really looking forward to. It’s not the last time you’ll see this grin in pitlane. 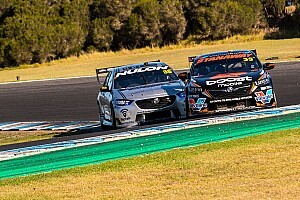 Lowndes, 44, made his ATCC debut for the Holden Racing Team as an endurance driver alongside Brad Jones back in 1994, before replacing Tomas Mezera as one of the team's full-time drivers for the 1996 season. He immediately won the first of three championships, as well as both the Sandown 500 and Bathurst 1000. An unsuccessful stint in European Formula 3000 followed in 1997, Lowndes then returning to Australia and HRT to win another pair of ATCC titles in 1998 and 1999. In 2000 Lowndes made one of the most publicised manufacturer changes in ATCC/Supercars when he switched from Holden to Ford, that ultimately paving the way for a move to the newly-formed Triple Eight outfit – which was running Fords at the time – for the 2005 season. 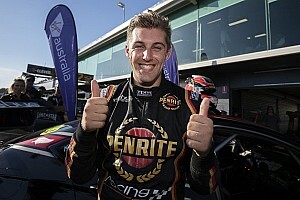 Lowndes has driven for Triple Eight ever since, racking up another five Bathurst crowns along the way, including the emotional 2006 race just weeks after mentor Peter Brock was killed. However a fourth title has remained elusive, Lowndes finishing second in the points six times since joining Triple Eight. “It will be an extremely emotional day on Sunday of Newcastle when Craig heads out for his final race as a full-time driver, but we’re delighted that he’s chosen to stay with Triple Eight next year and hopefully into the future," added Dane. 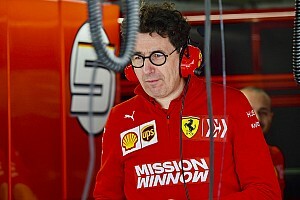 "He’s a massive part of the team here and has played a huge role in making Triple Eight what it is today. Lowndes' future has been subject of much speculation over the past 12 months, much of it fuelled by a disappointing 2017 which saw him finish 10th in the points, his first time out of the top four since joining Triple Eight. However he's enjoyed a resurgence this year, and currently sits fourth in the points heading into this weekend's Townsville round.